Claiming that our inbred propensity to war can be prevented by aggressively reducing the birth rate is a de facto declaration of war on the world's poor. Imagine that you are a young Chinese woman of, say, 21, who accidentally becomes pregnant by her fiancé. When the local birth control official discovers your condition a few months later, she declares your pregnancy to be "illegal" and orders you to report for an abortion. In desperation, you point out that the father is your fiancé, and that you plan to marry as soon as you reach the minimum marriage age of 23. You argue that you are currently childless, and that you should be allowed, even under the one-child policy, to bear your first and only child. None of this matters, the official responds. The only relevant fact is that you are not married now. The rules cannot be bent, she tells you. And the rules of China&apos;s birth control program absolutely forbid single motherhood. Under the double threat of losing your job and paying a huge fine (the first makes it almost impossible to do the second, of course), you report to the abortion ward. Because you are already in the third trimester of pregnancy, you are given a cesarean section abortion. The final blow comes when your now dead baby is returned to you in a garbage bag. The state refuses to bear the cost of your criminal misconduct. It is up to you to arrange a cremation or burial. A photo of just such a single mother and her dead baby recently came to me across China&apos;s increasingly porous Internet borders. It is difficult to look upon, in the same way that the pictures of dead bodies stacked up like cordwood at Auschwitz were difficult to look upon. But in that picture one can see the human face of China&apos;s one-child policy, which day after day, year after year, grinds out such tragedies with ruthless efficiency. Few would defend such actions, and Thomas Hayden and Malcolm Potts are certainly not among them. After all, in their article calling for world peace through population control ("Make Birth Control, Not War," May/June 2010), they specifically eschew "forced or coercive abortion, sterilization or contraception." Thus I was all the more surprised to find elsewhere in their essay China cited as a positive example of a country that was "able to slow population growth rates dramatically, and [that] has had a more prosperous-than-expected outcome as a result." Lobbying doesn&apos;t usually work; fat won&apos;t kill you; and the Dead Sea doesn&apos;t need to die. Check out those stories, our cover story on oxytocin shaking up the field of economics and much more in the September-October 2010 issue of Miller-McCune magazine. As it happens, in 1979, I became the first American social scientist allowed to do field research in the People&apos;s Republic of China; the opportunity came at a critical juncture, when the Beijing regime embarked upon two great experiments in economic and social policy. The first, undertaken with the overwhelming approbation of my friends in China, abolished the People&apos;s Commune and encouraged the free market. The second, unwelcomed by the majority of the Chinese people, instituted the one-child policy. To praise the country that has become the ugly poster child of forced abortion and coerced sterilization for the economic growth that these inhuman policies have supposedly generated seems a shade, shall we say, inconsistent. The question of whether China is better off economically, as Hayden and Potts claim, as a result of eliminating 400 million of the most productive and enterprising people the world has ever known is too complicated to go into here. Suffice to say that the mere coincidence of these two policies does not prove causality. China&apos;s astonishing economic performance — its annual GDP growth over the past three decades is close to 10 percent — is not only a tribute to the tremendous work ethic of the Chinese people, it also has led to labor shortages in China&apos;s coastal provinces. If it were just a matter of the old men who rule China running roughshod over the reproductive rights of one-fifth of the world&apos;s women, that would be bad enough. But the excessive use of force in the pursuit of a population control agenda extends over all continents (except Australia) and many developing countries. A summary list of countries and violations — 44 at last count — takes up a full two pages in my recent book, Population Control: Real Costs and Illusory Benefits. To give just a couple of examples: Women in Indonesia have been taken at gunpoint by the military for mandatory sterilizations, while hundreds of thousands of Quechua-speaking Native Americans were pressured by the Peruvian government to accept tubal ligations. 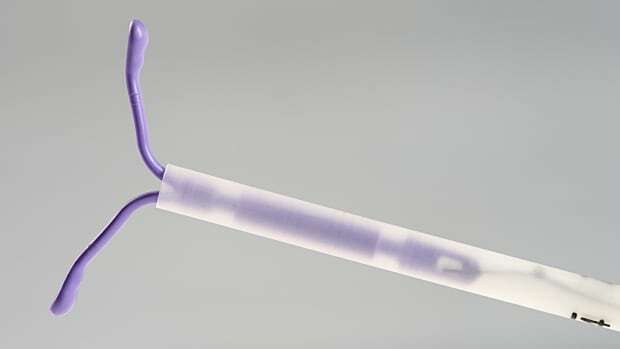 As I write, government-run hospitals in Mexico routinely sterilize or insert IUDs in women after they give birth — with or without their consent. Given this long and dismal catalog of abuses, the reader will understand my skepticism that a birth control program can be both government-run and noncoercive, especially in the context of a developing country. Since when has a visit from a government official been a good thing, even when the government in question is not a military dictatorship with an abysmal human rights record? 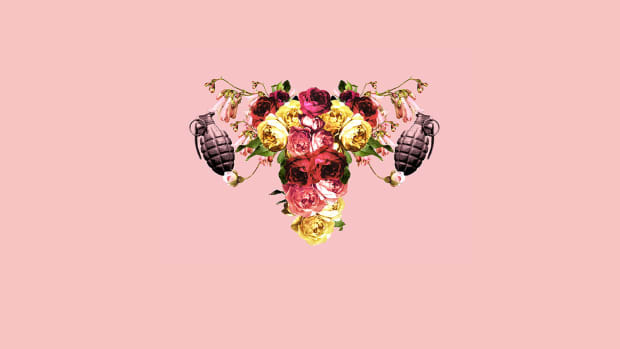 Think of the structures of power at work here: When a representative of the state appears on the doorstep of a poor woman&apos;s house and directs her to report to the state birth control clinic for a tubal ligation or for her next shot of Depo-Provera, there is clearly an element of coercion involved. When a destitute mother seeks medical care for a sick child and must accept a bottle of birth control pills as a condition of treatment, her contraception cannot be described as "voluntary." 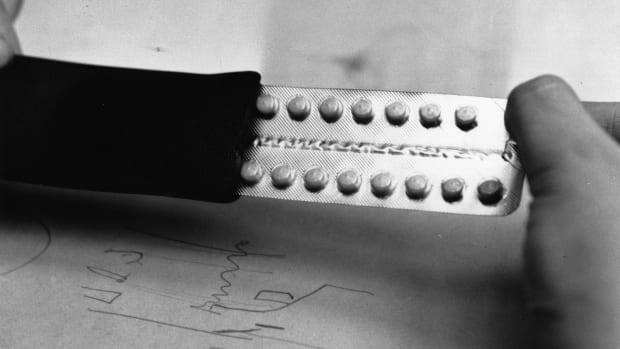 "This is not what we intended to happen," intone international birth control advocates. But intentional or not, it is what actually happens — in country after country — when international donors, including the U.S., encourage governments dependent upon foreign aid to embark upon campaigns to lower the birth rate, and when future grants and loans are made contingent upon producing the highest numbers of "acceptors" of contraception and sterilization. And if you insist, as they do, that family size decreases in advance of economic development, rising levels of education and better primary health care, the abuses will multiply. That increased levels of education, especially for girls, produces a powerful downdraft on fertility rates is no mere "popular notion," in Hayden and Potts&apos; dismissive phrase; rather, there is a scientific consensus that attributes roughly one-third of the decline in global birth rates to this factor alone. Equally well understood is the concept that the urbanization and industrialization accompanying economic development also shifts fertility desires downward, as children go from being cheap and available stoop labor on the farm to being expensive liabilities who spend their youth sitting in city classrooms. But the most critical research finding to understanding how human populations rise and fall is this: The primary determinant of completed family size is desired family size; this strong relationship between fertility desires and behavior was recently underlined by a very sophisticated study carried out in Ghana by John B. Casterline and his associates and published in May in the journal Demographic Research. Couples who desire to have more children generally wind up with more children. Couples who desire fewer children generally find a way to act on their fertility preferences whether or not there is a foreign-funded, government-run birth control clinic around the corner. Add to this a corollary: As parents see more and more of their children surviving to adulthood, they will naturally — without anti-natal propaganda or compulsion of any kind — shift their fertility preferences downward. This process is so widely accepted in the field of demography that it has a name: the demographic transition. Birth rates in the developing world have fallen faster and farther than anyone thought possible a generation ago precisely because infant and child mortality rates have fallen even faster. Increasingly confident that fewer children will suffice to care for them in old age and help in the family business, parents in more and more countries are taking control of their demographic destiny and are proactively adjusting their fertility downward. There is no reason to believe that the diminishing number of high-fertility countries — which include Yemen, Afghanistan, Bhutan, Laos, the Palestinian territories and a number of countries in sub-Saharan Africa — will not follow this pattern toward decreased fertility. We should continue to do what the best angels of our nature would prefer (though what Hayden and Potts consider to be problematic): Help such countries make the ongoing improvements in public health necessary to continued reductions in mortality, especially childhood mortality. As access to clean drinking water, vaccinations and antibiotics ensure that more children survive to adulthood, fertility rates will decline naturally, without compulsion, as surely as day follows night. Why should the pattern already traced by the West and, by now, much of the rest of the world, not be good enough for the shrinking number of countries that remain? The demographic transition only reaches completion if the mortality rate stays low, of course. The HIV/AIDS pandemic, by raising mortality rates, seems to have arrested the transition in a few sub-Saharan countries. A troubling increase in waterborne bacterial deaths among infants in Malawi, Sudan and Nigeria is having the same effect in those countries, and birth rates are no longer falling. The solution in these cases is not more family planning (which absent aggressive government actions would be largely ineffective anyway) but improved primary health care. It should be clear from these proposals that I believe men and women everywhere to be rational actors, well equipped and entitled by natural right to make decisions about intensely private matters such as family size without government interference. They are neither heedless beasts in thrall to their genetic programming — as the sociobiologists would have it — nor are they driven to irrational acts of violence by vague demographic pressures, as overpopulation theorists like Hayden and Potts predict. War is made by man, not man for war. The rush of adrenalin that accompanies a threat is rightly called a "fight or flight" impulse, since men (and women) are far more likely to avoid physical conflict whenever possible than to instigate it. The protective urge that motivates men to defend home and hearth, even at the cost of their own lives, is not a product of genetic programming — as if it were written somewhere on the diminutive Y chromosome — but of enculturation. In fact, the striking thing about the human brain is its sheer plasticity, about which neuroscience is teaching us more every day. We are indeed born as tabula rasas, as Aristotle first surmised. It is through our choices, for good or for ill, that we forge our habits, our characters and our destinies. After all, the same species that produced the odd conqueror like Genghis Khan also produces priests and monks by the millions, men who, despite the urgings of testosterone, voluntarily forego the possibility of reproducing at all for a higher calling. Surely if we were all the descendants of "particularly successful rapists, murderers and brigands," this sort of altruistic impulse toward the spiritual would have been bred out of the population long ago. Indeed, it is hard to see how it could ever have arisen at all, if sociobiological speculations had any merit. The fixed and mechanistic view of human nature advanced by Hayden and Potts leads to some startling prescriptions. For example, they approvingly quote an anonymous "evolutionary biologist" who suggests that lowering the mortality rate "without providing family planning assistance is tantamount to homicide/genocide." Really? In the real world, shifting priorities and funds away from primary health care programs into population control programs is homicide, literally. 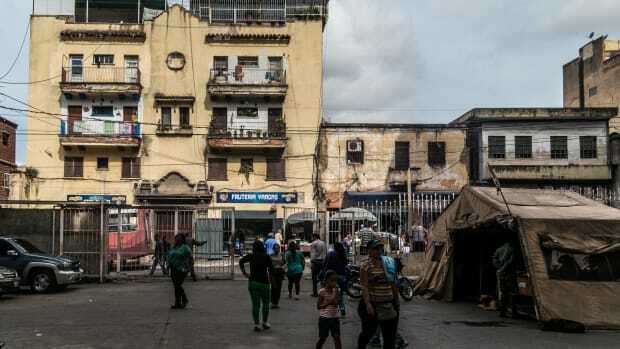 When Peru embarked upon its aforementioned sterilization campaign a few years ago, rates of preventable diseases like malaria, typhus and typhoid skyrocketed. The doctors and nurses who would have treated these diseases, it turned out, were all off disabling the reproductive systems of the poor. The thousands of women whom we have interviewed in our health surveys of Ghana, Kenya and Sierra Leone overwhelmingly agree with President Obama that "security does not exist where human beings do not have access to enough food, or clean water, or the medicine they need to survive." And like Obama, they do not mention family planning as one of their pressing needs. Because when your children are dying of amoebic dysentery or malaria, it isn&apos;t.
Ultimately, caring for our fellow passengers on planet Earth in ways that help to keep them healthy and productive will do far more to stabilize the population, protect the environment and usher in a more peaceful world than any number of birth control pills or population control programs. In other words, make love, not birth control. The human tendency toward war is based on biology, but the right family planning policies can redirect the world toward peace. The humanitarian health crisis has resulted in a massive scarcity of prescription drugs and contraceptives. What this might mean for the country's future is chilling. 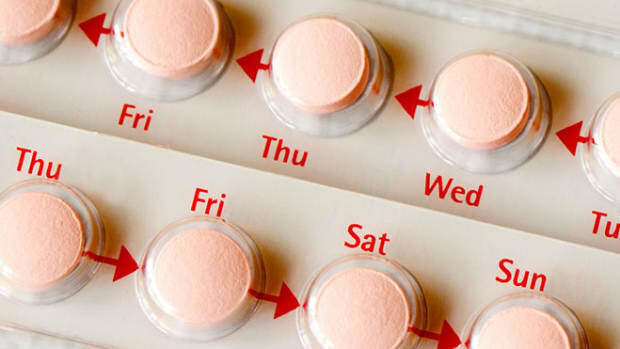 Before a 2012 contraceptive mandate, 30 to 44 percent of women's medical spending used to go toward birth control. After the mandate, those numbers fell to 13 to 22 percent.